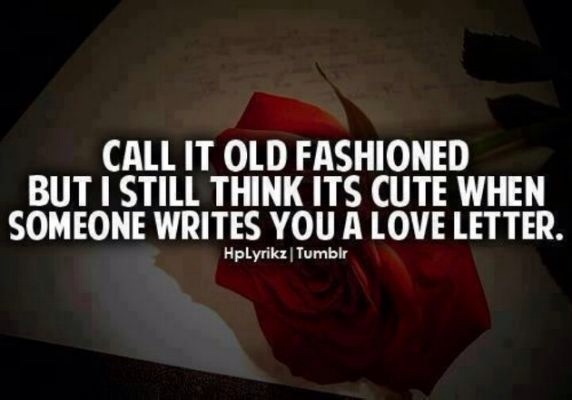 Love letters hold a special place in my heart, since my husband and I actually fell in love through exchanging love letters while I was away at school for a year. I saved all of them <3 and so did he. 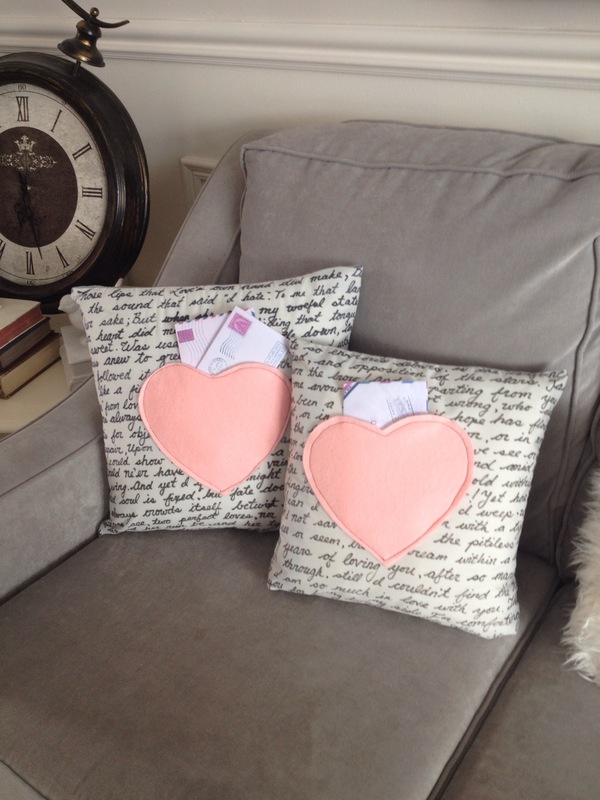 Seeing as Saturday is Valentine’s Day, I was inspired to create a set of cute Love Letter pillows. Here are the completed cushions. I added a little pocket for the love letters to be put inside. I started with a grey broadcloth (that cost me $2.00 from Fabricland), and a sharpie. 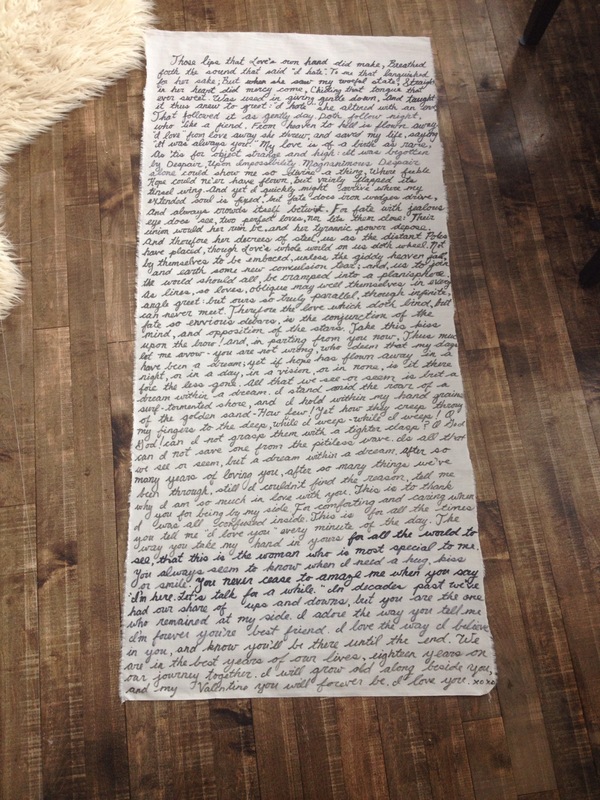 I wrote out excerpts from famous love poems right on to the broadcloth. 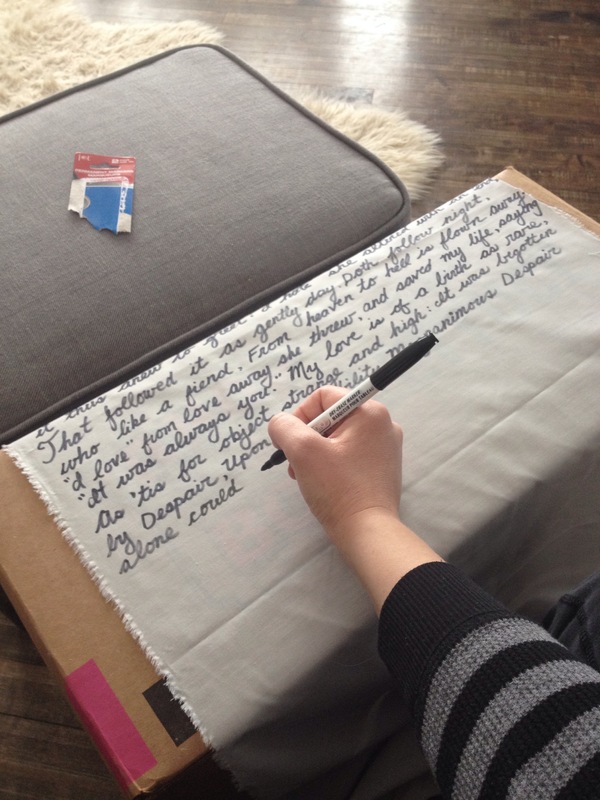 This process took longer than I had anticipated, but I love the look of cursive handwriting as decor. 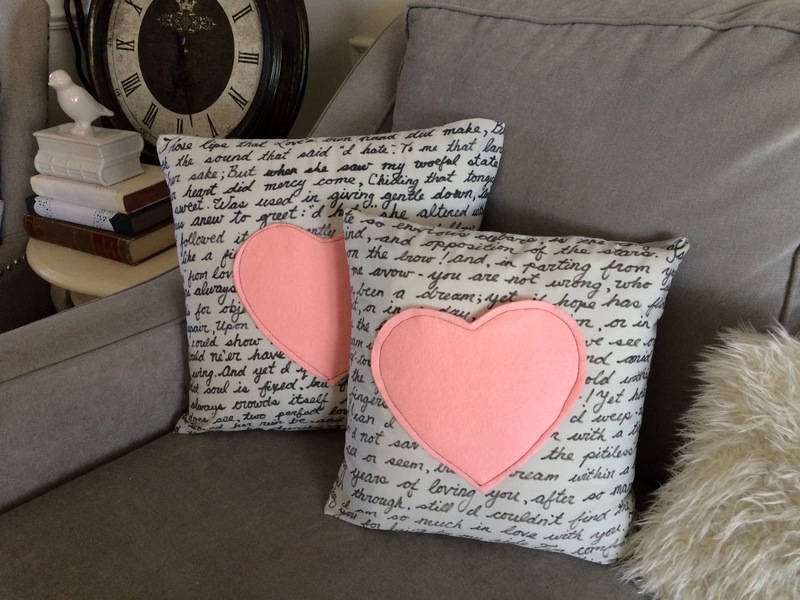 For the hearts, I just traced out a heart shape on to felt, cut it out and hot glued it into place on the cushions, leaving space at the top for love letters to be placed inside. I chose to hot glue them, as I’m better with a glue gun than I am with a sewing machine. For the back of the cushions, I used a grey satin that I had on hand. I “heart” how they turned out. Lol. Too much? That’s it for the bonus mid-week post. I’ll be back tomorrow though. I like your blog Sue. 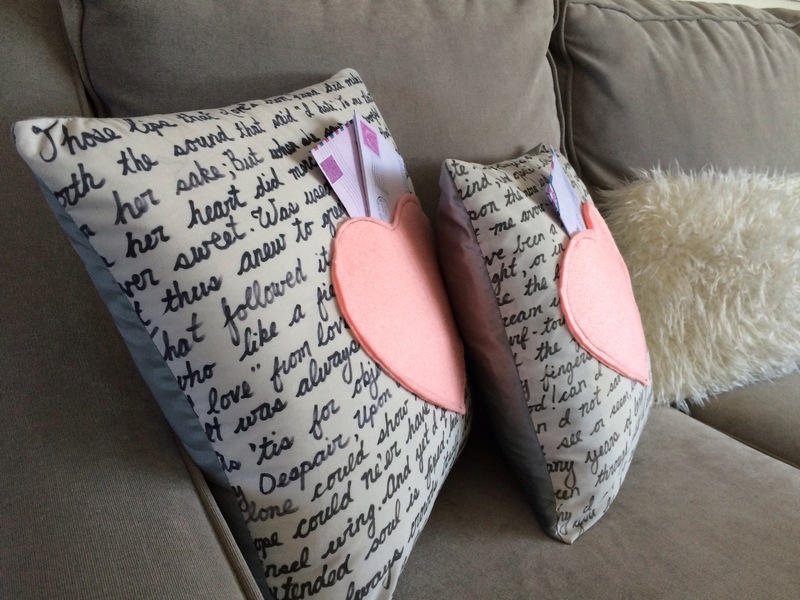 I also really like your love letter pillow idea. You are clearly a very creative person. 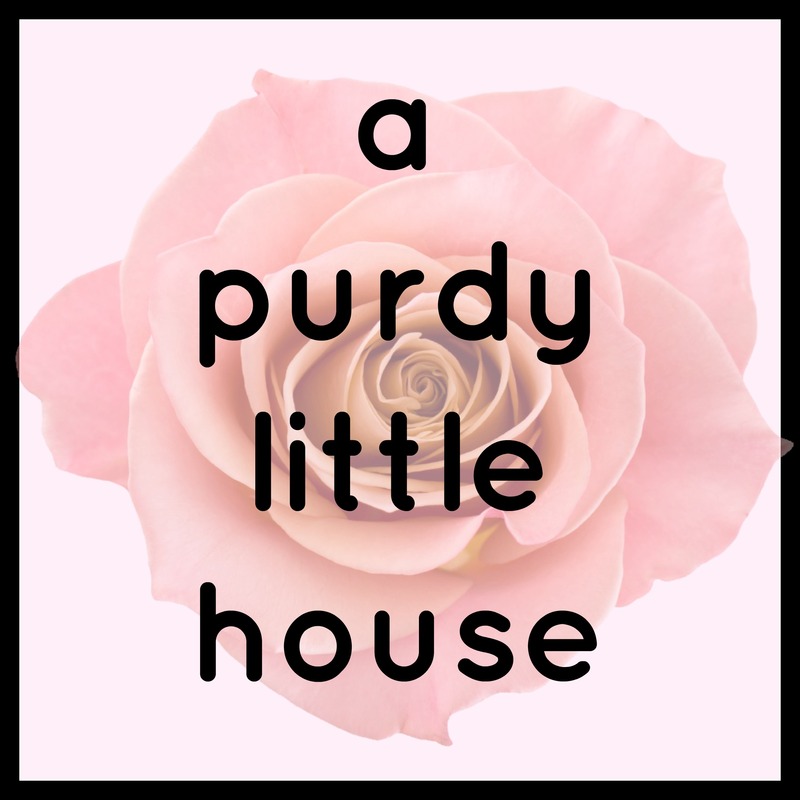 I’m having fun doing it, and I really appreciate the positive feedback.